Just finished reading all three Romney/Marsh books. Okay, its too cold to play golf this week (I live in Dallas) and the books were free, what a deal. PLEASE tell me you didn’t kill off Romney! I can’t enjoy golf in the cold either. I love the idea that someone in Dallas read my books. Thank you. I have a sneaking suspicion that Romney fainted believing he’d been fatally shot. Don’t worry, he’ll be back. Thanks for the comment. Thank G** for that! I’ve just finished the third book and have purposely looked at your site to see if there will be another. I can now sleep peacefully. Waiting in anticipation. Your comment has put a smile on my face. Thank you. And thank you for your purchases. I hope to start the fourth R&M when I have finished with another writing project that I am involved in. Best wishes. I have read all three of your Romney/Marsh books and enjoyed all three. I live in the U.S. and am retired and hope you follow up with more Romney/Marsh stories (at least if he’s still alive). You’re books were very well written and look forward to future stories. Hi Mike, many thanks for taking the time and trouble to let me know what you thought of the books. It really is encouraging to have people like yourself get in touch. I have a strong feeling that Romney escaped serious injury and that he and Marsh will be back out on the Dover streets sometime next year. All the best. The second book was just as enjoyable and I quite like the fact that Marsh is becoming more confident and is unlike the usual sidekick in that she is not just a foil to Romney. She has a mind of her own. One glaring mistake however is the accuracy of your info about type 1 diabetes. Thanks for getting in touch. I’m pleased that you enjoyed the two Romney and Marsh books. Several have commented that Marsh’s character in particular needs development so it is nice for me when a reader like yourself recognises that she does grow in confidence in the second book. My error over the medical information surrounding the diabetic episode is unforgivable. It’s unforgivable for me because my dad was a type one diabetic. I suppose that that is what led me to write about it without checking. Sloppy. I’ll be doing revised editions of all these books in time and I will rectify that. Thanks for pointing it out. My sympathies for your son. Diabetes is a tough condition to have. Well done for your fast and honest response. I have just downloaded Joint Enterprise and am looking forward to the next installment. My pleasure. I hope that you enjoy the third in the series. Thanks for that purchase. Regards. I do hope that you see this and can then go on to check out my latest blog-post – The Penitent Writer. Just finished reading your three Romney and Marsh files, and wanted to tell you that I really enjoyed them, for both the clever plots and the two main characters, in particular. I sincerely hope that this is not the end of the road for Romney and Marsh, as it would be great to read more about them …. I can envisage Romney taking his cantankerous nature to even higher levels as he gets older and even more disillusioned with love and life, and we really need to learn more about Marsh, a very interesting character. Thanks for taking the time and trouble to let me know that you enjoyed the Romney and Marsh books. It is always very pleasing to see. I’m engaged on another writing project at the moment, but do anticipate having Romney and Marsh back out on the Dover streets fighting crime and each other before the year is out. I would like Romney’s recent experiences to give him a new, more tolerant outlook on life, but between ourselves, I just don’t think it will last. Not with what’s about to hit the fan. discovered a new author to enjoy, This doesn’t happen too much these days as I devour books by the hundreds! Many thanks for taking the time and trouble to leave a most encouraging comment. And thanks for the purchases. The feel-good factor of learning that a reader enjoyed the series does not diminish. I hope to have Romney and Marsh back out on the streets by the end of the year. Thanks again, you’ve made my Monday morning. Excellent so far the first 2 books are great going 2 get the 3 next week???? Brian, that’s great to know. Thanks for getting in touch and I look forward to seeing how you find the third. Regards. Loved your contact from Buzzard’s Bay, thank you. Ten seconds on Google images and the puzzle is solved. It looks a lovely stretch of water and coastline. I sincerely appreciate your comments on the books, more than the purchases if the truth be known, although, of course I thank you for those too. My characterisation has drawn some comment, not all of it complimentary, so it is particularly pleasing for me when a reader sees what I see in Romney and Marsh. Getting the humour is just a bonus. I hope to start the fourth sometime in the summer – mine not yours – when I have finished another writing project that I am engaged upon. Thank you for the 3 books and I look forward to more! I am glad Romney doesn’t die. He is such a miserable old so and so that I would have hated to see him die in that state. His misery needs redemption. I just wanted to say how much I’ve enjoyed reading the Romney and Marsh series. I was drawn to your books as I spent a few summers working in Dover, but now am hooked on your characters, looking forward to book 4! Many thanks for your kind comment and your purchases. So pleased to see that you enjoyed the books. I hope to start the fourth in the series some time soon. Just finished reading Rope Enough, which I had as a free download. It worked! I’m so hooked that I’ve gone and bought the other two, now this may not sound remarkable to you but I’m sure would astound many of my friends. It’s not that I’m tight or anything, I just like free books. Unlike many of the self-published (free) books that I have read I found very few distractions from poor spelling, grammar or incongruous objects and events. There were a couple that I noted in passing but unfortunately I didn’t note them, otherwise I could have told you about them. The only one that sticks in my mind is a “delegated” smoking area. This left me wondering what it did beforehand? An excellent read with believable characters and plot. Off now to read Making a Killing and I hope that you do! You are fast turning into my idea of a model reader. First you read Rope Enough; then leave me a very encouraging Amazon comment; then you check out my blog and get in touch and also you’ve downloaded the other two books in the series. Many thanks for it all. I can only hope that the second and third books in the series don’t disappoint, especially as you’ve paid for them. I completely understand your, shall we say, reluctance to purchase ebooks. No one buys fewer ebooks than me. I will take your investment as a compliment. I know that all three books contain errors – one of the downsides of DIY book production. Readers have been generally very helpful and constructive with their feedback and when I do the next edit, I’ll be making the appropriate corrections. Now you mention it, that ‘delegated’ does seem rather superfluous so it’s gone on the list. Finally, your wishes for an improvement in my financial situation are gratefully accepted. I can dream. Best wishes and please let me know what you think of the other books when you get around to reading them. If you were female you’d probably regard me as a stalker. Haha. if I were female….let’s not go there on a public forum. Hi! just finished Making a killing. Enjoyed it a lot and we read the others books in the series soon. Very impressed and encouraged to hear about your self publication. As I’m only on chapter 2 of my own work, I’m not going to knock your work! However…. late in the book, Romney refers to an ‘unexpected surprise’. I find they usually are! A silly thing but it annoyed me! Good luck and keep writing. Glad that you are enjoying the books. I hope that you might find something useful in my blog archives if you are thinking of self-publishing your book when it’s done. It has been such a positive and rewarding experience for me. I would recommend it to anyone. You are absolutely right about the surprise thing. Thanks for pointing it out. It has gone on my list of things to changes in the next edit. Best wishes and good luck with your own work. An excellent book Oliver, just now downloaded the other two. I was looking through the Kindle books when I found the first of the Romney and Marsh books and had to read it, especially as I was sat on the veranda of our caravan on Romney Marsh. I’m afraid that I got so engaged with the plot that I didn’t find any mistakes at all. Perhaps I might be able to get some sleep now that I have finished the first book, or maybe not, book 2 sounds good. Many thanks for getting in touch. Good to know you enjoyed Rope Enough. I have to wonder where your caravan is: Piper’s at Dymchurch, New Beach, Romney Sands or somewhere more exclusive? Ah, I was transported back for a moment. Maybe you saw from my blog that I was back there in the summer. I had another reader let me know she was quite disappointed that Rope Enough didn’t turn out to be a non-fiction book about Romney Marsh so it’s good to know that not all who are drawn to download it because of their location feel that way. Can I mention a crime thriller book I’m working on called Bad Sons. You can find something on it under the title Booker and Cash on the navigation bar at the top of this page. It is set in Dymchurch and surrounding area. I only mention it because of your association with the area. If you get around to the next in the Romney and Marsh series, please let me know what you think. Hi Oliver, I live on Romney Marsh so when I found the Romney Marsh files on Amazon I downloaded the first free one to see what it was all about. I started reading your first book one sunny morning and thoroughly enjoyed it. By that evening I had down loaded the other two books. I was hooked. I lover Peter James and your approach to the characters were as good as his. I’ve now down loaded your other 2 books in preparation for my holiday inTurkey and look forward to reading them whilst cruising on a gullet in the sunshine. Many thanks for getting in touch. It’s always nice to hear from the Marsh. Very pleased that you have enjoyed the books. Thanks for saying so and thanks for your purchases. I’m exceedingly jealous about your holiday. You may have seen from my blog here that I live in Istanbul. It’s still really hot here and the thought of cruising around the coast with all that clear cool water to dive into…why am I doing this to myself. I’ve got work tomorrow. I look forward to seeing what you think of the new reads and just to let you know that I have a crime novel coming out in a couple of months, which is set in Dymchurch. You can see details at the top of this page under the heading Booker and Cash. It should be fun. Best wishes and have a great break. Just finished reading the first one… and immediately started on the second one and I’m loving that too. Great stuff.I can see the comparison to Peter James – I hope Romney and Marsh continue as long as Roy Grace et al. That’s great news. Thanks for getting in touch to let me know you’re enjoying them. And thanks, too, for your purchases. Several readers have mentioned a similarity to Peter James’ writing. I have to confess to not having read one of his…and now I’m almost afraid to. But it’s a great compliment. I have a few more Romney and Marsh books in me and I’m looking forward to getting on with them. Just finished the third R&M novel- an absolutely fabulous read. Just enough humour, but also a cracking story. This is not a part of the country that I know at all, so it is great to read about somewhere new to me. Not sure what the ipad Kindle app version of a page turner is ( page slider, maybe), but this is definitely it. 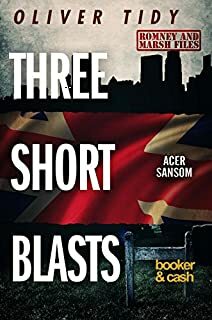 After finishing the three R&M and the two Acer Sansom books I thought I was going to have to wait for a while to see anything new from you, but just saw Bad Sons and bought it immediately. Based on your Amazon reviews it looks a cracker. Thanks very much for all the hard work you put into these novels- I have certainly enjoyed all of them very much, and it appears that many others do also. Many thanks for your very positive and encouraging comment. And thanks too for your purchases of my output. All much appreciated. To learn that readers are enjoying my books as much as I enjoyed writing them makes it all worth while. I hope that Bad Sons works for you too. Best wishes and thanks again for your support. Hello having just finished reading your book enough rope and read your note at the end I felt compelled to visit your website and leave you some feedback. I thoroughly enjoyed it and although I am no expert in written English didn’t notice any mistakes. I am a big fan of David Baldacci and Lee Child and would honestly rate your book up with them, not sure of how you rate them but hope that is the complement it is intended as. I am full of admiration for you doing it all on your own and was surprised to read that you had. I am looking forward to reading the rest of your books. Many thanks for getting in touch. It”s always encouraging to hear from a reader who has enjoyed one of my books, especially when they say such nice things. Thanks. I am very familiar with the authors you mention and I take your remarks as a great complement. Thanks again. If and when you get around to another of my books, please let me know what you think. Just read the first Romney and Marsh book and enjoyed it so much I purchased and read the next two and eagerly await the fourth. You must be doing something right as I ventured away from my kindle and on to your blog. I like the recent trend towards authors being more approachable through social media and blogs and applaud the fact you self publish. Good to hear from you. Thanks for getting in touch and for adding me on Goodreads. Great for me to learn that you enjoyed the R&M Files and then looked me up on the blog. I really enjoy making contact with readers of my books. I’ve finished the first draft and first edit of the 4th R&M File and hope to have it available in a couple of months. Watch this space! I finished the 1st Romney and Marsh at 7.00 am yesterday morning whilst having a bit of a lay in and 5 minutes later had downloaded 2 and 3 for which I paid money!!!!!!!!!!!! I read a significant number of books and before my husband bought me the Kindle I got my reading matter from the local library. One of my concerns about the Kindle was that I might have ended up paying for lots of books. Well I’ve read well over 100 books since i obtained my Kindle in October last year and have managed to avoid paying for any except for the ones i bought with the Amazon voucher I got for Christmas. However I was so taken with the 1st book that I was unable to resist purchasing the other 2. I finished no 3 about an hour ago and nearly gave my husband a heart attack when i screamed “oh No” as I read the last few lines. I am delighted to read on here that the “shattered bone and pulped cartilage” did not belong to Tom. However i am horrified to read “I’ve finished the first draft and first edit of the 4th R&M File and hope to have it available in a couple of months. Watch this space!” dated only February 10th!!!!!!!!!!!!!! How am I going to survive? I know I’ll go onto Amazon and find some of your other books to keep me going. Thanks very much for getting in touch. I sincerely enjoy hearing from my readers. I value and appreciate each and every comment I receive but now and again one comes through that gives me a big smile and helps to reaffirm my feelings for what I’m doing with my free time – writing.Yours is one of these comments. So thanks for making my day. I had to read your message three times to make sure I was not mistaken ie you read books 2&3 in two days! That’s fast reading. I’m genuinely thrilled that book one grabbed you enough to encourage you take a chance on 2&3, and even happier that they didn’t disappoint. I love these characters. They are as real to me as…real people. When readers feel the same it makes me intensely happy. I appreciate that you might take a look at one of my other books while you’re waiting for R&M#4. Don’t let the blurb of Dirty Business, the first in my Acer Sansom novels, put you off giving that a try. I’ve had a good deal of positive feedback from my female readership on those books. Please see Amazon comments. R&M#4 is called A Dog’s Life. It is now with the gentleman who helps me with proofreading. There’s a good chance it could be out around about the end of this month. Keep in touch with my blog-posts here if you like. I’ll be keeping my followers informed. Thanks again for your lovely message and your support. That’s marvellous news. Once again, thanks for your downloads and support. I do hope that Acer and the others don’t disappoint. I can’t wait to get R&M#4 out there. Just finished Loose Ends and am hoping there will be a number 3 in the series as the book seems to be appropriately titled. Acer #3 is my current writing project. Afraid it’ll be some months before this one sees the light of day. That’s great to know. Thanks again for your support and message. I hope you like Booker & Cash. I read your page about ‘making it’ & thought you might like to know that I like to keep track of my reads of ‘Goodreads’, & that I’m a pretty harsh marker when it comes to giving out stars. However, your books happily sit in the 4 & 5 star classes alongside Stephen King, Michael Connellly, David Baldacci. In fact you’re the only author to score 5 stars this year! Just started Acer Sansom #1…..
Anyho, just wanted to send many good wishes & hope you keep up the good work, we can’t wait for the next installment of R&M! Oooo & just out of interest as my hubby & I have discussed this at length, what happened to Romney at the end of book 4 to make him beat that guy up like he did? Was it a backlash to the ‘rules’ at work, or because hes getting to ‘know’ himself more with the Dr? Also, is there a ‘thing’ developing between R&M or is that just me???….. After a hard day at work in the sweltering Istanbul inner city temperatures there is one thing guaranteed to revive my flagging spirit and that is a brilliant message from a reader. That and cold beer. Thanks. You made my day. I got such a genuine thrill out of learning that you and your husband are that keen on the R&M Files. And it’s really good to know that some of my idea of humour is hitting the target. I’ve had a lot of fun writing these books since I found my stride with what makes me laugh and I have to hope it works for readers. Thanks too for your very kind Goodreads remarks. I find readers generally tougher there so it’s good to get some good ratings to balance out some of the less enthusiastic. I have to be honest and say that I was expecting some strong opinions on Romney losing his rag with that ‘scrote’ at the end of the fourth, but I’ve heard very little. It was foolish given his new boss and the thin ice he’s skating around on. But we know Tom isn’t one for making life easy for himself. He wanted to send them a special and personal message for what they’d done to you know who. He felt protective of her. He’d do the same for any of his team. And just now and again I think he feels he wants to take the law into his own hands and dish out some street justice to Dover lowlife. A short sharp shock. He’ll face the music if and when he has to on that one. As for romance between R&M, my mum said if I encouraged that she’d disown me. Besides, I’ve got a surprise in mind for DI Romney. I do hope Acer doesn’t disappoint. You’ll find it quite different to R&M. I thank you for giving him a try. Thanks again for your support and your great comment. I finished reading 1& 2 of the R&M series. I enjoyed the plausible characters and the well constructed stories. There is, I think, a nice balance between the persons private life and the storyline; one is just as much into the whodunnit as to the why — as well as the who did what with whom. Interesting to read above that you are presently in Istanbul; a long way from Dover! Many thanks for getting in touch. I enjoy hearing from readers of my books, especially those with positive feelings for the books. It’s good to know you have enjoyed the first couple of R&M Files. I thank you for your kind remarks for them. I hope you will try the other two in the series. If and when you do, please let me know what you think. Yes, Istanbul is a long way from Dover in every sense. But I enjoy visiting the town when I return to the UK. In fact my fondness for the place grows with every visit and every R&M File I notch up. I have in the space of 2 weeks read all the Romney and Marsh books, just finished the Booker and Cash book and have the Acer one already loaded. Then what? You really are going to have to give up teaching so that you can keep the books coming. I am now going to have to go back to the drab prose of American fiction with its over the top bloodiness and violence. I do try not to read crime but with no success (other than the kite runner, I love well written books). I was very surprised after leaving a feedback on Amazon to get a mail back to you. How very polite (and very un-Romney like) of you. I particularly like the R&M books and feel that I actually know them which makes it so much more interesting. Thank you so much for making a very difficult few weeks (dog having chemo so lots of time sat round with a gentle stroke) more bearable. Thanks so much for getting in touch to let me know that you’re enjoying the books. It really is very special and encouraging for me to hear from readers with positive feedback. My sincere thanks, too, for your support of my writing through your interest and downloads. For a self-published writer these things are not to be underestimated for the motivation and pleasure that they bring. Nothing I’d like more than to give up the day job, but there seems little chance of that just now. Maybe one day I’ll get that lucky break. Until then I am quite happy doing what I’m doing. I have one more Acer title in the editing stage as you may have seen from my blog here. I hope to have that out in August if not before, but the summer holidays are fast approaching and I’m planning on a good break from everything except reading, good food and beer, and family back in the UK. If you know DI Romney like I do, you’ll know he’s not all bad. He might have replied to you. I know exactly what you mean about feeling that you know the characters. And I take it as a compliment. Thanks. They are very real to me, particularly the Dover bunch. Like friends. Better than friends. Talking of US fiction, I find my favourites are from the past. Chandler, John D. MacDonald’s Travis McGee series, and I’m just reading a book by Ross MacDonald, Lew Archer series, which I’m thoroughly enjoying. Just great writers who I’d love to emulate one day. It’s my pleasure to communicate with readers who support me. Best wishes to you, and your dog for a speedy, full recovery. What a lovely message from you. Thanks very much. It put a smile on my face. Many thanks for your time and trouble to get in touch to let me know that you enjoyed the books, and, of course, I appreciate your downloads. But the best thing is your encouragement and enthusiastic support. The R&M Files are probably my favourites at the moment, but maybe that’s because I have four of them now and the characters are like real people for me. I had a lot of fun writing those, especially the last one. Last night, I finished “Rope Enough” and can’t wait to get my hands on the other Romney & Marsh files! As with nearly everything I read, I have posted a review of “Rope Enough” on my blog. So far, several authors have been kind enough to leave a comment on the post relevant to their book; it is always much appreciated by my blog readers (some of which go and buy the books I recommend on a regular basis). Looking forward to reading more about Romney and Marsh! Many thanks for getting in touch to share your post regarding Rope Enough. I liked it very much. You’ve made me day. Thank you. I’m thrilled that you enjoyed the read and will look out for others in the series. If and when you get around to them, I’d love to know what you think. I’m always interested in reader feedback. I shall certainly leave a comment on your blog. I just finished reading all four of your Romney and Marsh books and I have to pass on a Bravo Zulu to you (that’s the flag hoist in the US Navy for Well Done). The books in this series were terrific except that I did nothing in my spare time but devour them. I don’t know if you are planning more in this series but if you can write them I will certainly read them. Keep up the excellent work! Many thanks for getting in touch to let me know that you have enjoyed the R&M Files so far. I always enjoy hearing from satisfied readers. And I learned something from you (the flag hoist). I anticipate writing many more in this series. In fact I have just started on number 5 now that I have a couple of other writing projects off my hands. All going well it should be ready before the summer. I have read the first two of your Romney and Marsh books (downloaded and paid for) and found them a very good read and unlike many downloaded books very few spelling or grammatical errors. I did find a piece about type one diabetes though that is incorrect. I am diabetic myself and sugar was needed not insulin which would have made it worse not better. However it did not impinge on the narrative and was probably not noticed by many people. All in all I thought the books were excellant and I will certainly obtain the next two in the series. My only suggestion is that you might find a way to relocate them to somewhere other than Dover. I know the town very well my daughter lives between Dover and Canterbury, I live in Gravesend (where marsh was stationed before Dover) and so I know the areas involved very well. The names Romney and Marsh also trouble me a little. Strangely enough I also know Istanbul, why not send them off to investigate an international crime there? Dover is not the most exciting place in the Country although the white cliffs are amazing. But the books are great and I will now download the next two and hope you continue to write more and earn good money. Many thanks for getting in touch. It’s always good to hear from readers. Regarding the setting of Dover, well I’ve kind of painted myself into a corner there. Literally the corner of England. I’m confident that I can use the locality as a backdrop to a few more in the series. I have thought about taking them off somewhere for something different but I’ve not come up with anything plausible yet. And I’ve seen other authors try it and fail. I was born and bred in Romney Marsh so when the idea occurred to me to use those names I was never going to resist it. It’s turned out to be a bit of a Marmite thing for readers but not something that I regret. Many thanks for your kind words and good wishes for my writing. If and when you get around to the next two in the series, please let me know what you think. Thanks for getting in touch. Good to know that you’ve enjoyed the R&M Files. I’m working on R&M #5 (at the moment a book with no name) and hope to have it in the spring if not before. I’ll be making announcements on the blog when I have news of that. Great to know. Thanks for getting in touch and for your downloads. I hope that #3 and #4 don’t disappoint. Please let me know. Have read all your R&M books — very much looking forward to the next. Hopefully you got through your dismal test and will now have time to concentrate on finishing up another exciting, entertaining entry in the series. Love detective fiction and always on the look out for something new and different. Bought the first R&M book two weeks ago and have since bought the next three and have abandoned all other reading to concentrate on the series and am half way through book 4. Thoroughly enjoyed all so far and am pleased to read above that book 5 is on its way. The characters are believable and one can empathize with their frustrations and become involved with their personalities. Thanks for getting I touch. It’s always good to hear from a reader who is enjoying the R&M Files. Your comments and downloads of the series are much appreciated, as are your kind words for my writing. Number 5 is going well. I hope to have it out round about the Spring. Just thought I’d let you know you have a couple of readers in Adelaide South Australia. We bought all 4 of the Romney and Marsh books from Amazon. Looking forward to book 5. Thanks for getting in touch. I love learning that the R&M Files are being enjoyed far and wide. I had a lot of fun writing them. Number five is in the pipeline soon to be followed by number six. I forgot to tick the e-mail box so am putting another message up. I have read all four Romney and Marsh, really enjoyed all 4, having been a CID officer for 23 years I can identify with the characters, cant wait for the next . I am now reading the second in the Booker and Cash series, I am enjoying these just as much. I have researched the Acer Sansom series and will be downloading those. Thanks for taking the time and trouble to get in touch. Much appreciated as are your downloads of my books. I’ve had a lot of comments on the R&M Files and B&C and while I enjoy any positive feedback for them I particularly value it from those who have worked in the business I’m straying into. It’s encouraging to know you’ve enjoyed them thus far. I had a lot of fun writing them. R&M#5 should be out late springish. If and when you get around to Acer. please let me know what you think. I have thoroughly enjoyed all 4 Romney and Marsh files and look forward to no 5. I was almost moved to complain about the use of “of” instead of “have” in books 1 to 3, but then along came Boudicca (Boadicea, when I were a lad) and did my complaining for me. In my humble opinion, Romney and Marsh would make a brilliant TV mini series. Please don’t find that insulting in any way, but it would bring your wonderful writings to a much larger audience – which I think you wholeheartedly deserve. Many thanks for getting in touch over the R&M Files. It’s always good to hear from readers who have enjoyed them. A few readers did highlight my ‘of’ ‘have’ issues, as well as other errors (these days I have a proof reader friend who sorts those things out for me), and, as you’ve twigged, that’s where Boudicca’s/Boadicea’s rant came from. You might be interested to take a look at the first reader comment I received for A Dog’s Life on Amazon.co.uk. That lady sums it up well and gave me a good chuckle. I thank you too for your kind words for the series. I would love to see R&M on the small screen. I think that a good production company could do something worth viewing with them. Best wishes and I hope you enjoy R&M#5 as much. Thanks for your support. I hope you enjoy the read. I look forward to learning what you make of it. I’m currently reading the fourth book in this series (having read 1-3, so that means I like the books!) I do find a few grammatical and/or punctuation errors here and there (I am a professional copy editor/proofreader, so it’s an occupational hazard), but not so many that I am put off. (And I am not talking about differences in American and British English.) The characters are truly engaging, meaning that I relate to them as real people, which is the sign of excellent character development. I will be looking at your other books after I finish the fifth in this series. Many thanks for such a good read! Many thanks for getting in touch to let me know you’re enjoying the reads. Good to know and much appreciated. It’s worth mentioning that I did all the proofreading/editing on the first three R&M Files myself (big mistake on my self-publishing learning curve). I have edited them since using readers’ suggestions, so they aren’t as bad as they were, but I’m aware that they all need an overhaul. Books #4 and #5 did have the benefit of outside help, as have all my other books. I think/hope that they are more polished for that. Have now bought all six of the Romney and Marsh files and i am halfway through book six and have really enjoyed them. I hope there will be more to the series but until then I will be starting on Dirty Business. Thanks for a great read. Many thanks for getting in touch. It’s always good to hear from readers who are enjoying one or more of more books. And thanks for your downloads of the R&M Files. All sincerely appreciated. I’m currently editing R7M File#7. That should be out in a couple of months. I hope that you enjoy Acer Sansom when you get around to him. 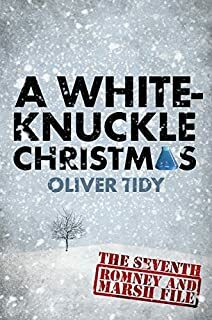 Just finished reading White-knuckle Christmas , I couldn’t put it down, it was an excellent and gripping read. I shall have to start on your Acer Samson books while I wait for another RM book if there will be one!. Many thanks for your time and trouble to let me know you enjoyed the latest R&M. Good to know. And I appreciate you trying another of my series. I hope you enjoy Acer. I downloaded White Knuckle Christmas at 01.30 am on the 26th and I can’t comment on it because I haven’t read it yet !!!!!!!!!!!!!!!! a) because it will be nice to read it in a lovely relaxing place and b) no one I know will see me crying my eyes out when I get to the end. Good to know that you nabbed a copy of AWKC. Thanks for your ongoing support. I hope you enjoy the read. You may be familiar with something Oscar Wilde said about temptation: the only way to get rid of temptation is to yield to it. I like that. It’s a real compliment that you feel the way you do about the R&M Files. I do appreciate it. If we don’t speak again before your holiday, enjoy your break and have a fun and safe time. Many thanks for your time and trouble to get in touch over the reads. Much appreciated. It’s always rewarding to hear from satisfied readers. I hope the remaining books continue to please you. Very good to know that the R&M Files continue to entertain you. Thanks for sharing. I had such a lot of fun writing them. I miss them. No new Acer on the go, I’m afraid but I did have an idea for him just the other day, which I’m tempted by. I’ve got a few other projects to get done with first. Best wishes and thanks for your ongoing support. Hi Oliver, is there any chance of another Romney and Marsh bookplease? Both my husband and I have read all of them so far and have been hoping for more – pleeeeeease? Also read Acer’s exploits and the Booker & Cash group too. The R&M characters are wonderful. If a tv series was made, I could imagine Ciaran Hinds playing a good Romney 😆 All are wonderful reads and thank you so much for writing them and giving so many people so much pleasure. Thank you very much for your time and trouble to send me such a positive message for the R&M Files. That and your support of my writing is sincerely appreciated. To your question: I have temporarily drawn a line under R&M. I have a number of other writing projects that i want to try and time is limited. I might come back to the Dover detectives one day. I do enjoy writing them. But I’ll make a deal with you – you get Mr Hinds interested in the part and I’ll start writing them again. 🙂 How’s that? Best wishes and thanks for making my day. I can appreciate the lack of time, but also would like to add my vote for another R&M. Very enjoyable characters, and I miss reading about them. Thanks for your comment. Much appreciated. I miss them too. I hope I’ll come back to them when time and life permit. That light at the end of the tunnel? It’s a train 🙂 R&M might make it back. Never say never. When will there be more books in the Romney and Marsh series………been a long time now! nooooooooooooooooooooooooooooo “when” is ok but “if” ?????? We are R&M fans too, my husband and I and would love to know if there may be any further stories? We miss grumpy Romney, he’s a great. Character and we’ve so enjoyed all the plots and at times, the stories are hilarious here and there. We’ve read most of your other books too. All great reads. Please, let us have another book in the future but u derstand your comment above. Thank you for all the pleasure you’ve given us and many others with all your different books. Brilliant! I’m always glad to hear from readers who are enjoying the stories, especially when they mention the humour. And good to know that you’ve given some of my other books a go. I thank you for your support. Productivity has slowed right down since I returned to the UK, and a big building project, in the summer . I’ll get back to my writing soon I hope. I was a policeman for thirty years and, allowing for the necessity to take liberties with police procedure for the purposes of fiction, you capture the spirit of working in a CID office very well. Any quibbles I have are extremely minor (you talked about a honey trap when I think it would be better described as a tethered goat, for example) and are more than outweighed by the development of your characters – I have become quite attached to them as they, and your plots, have become more complex. I saw your comments above about working on other projects and would add my voice to those asking for more – both of R and M, and of B and C.
Many thanks for taking the time and trouble to get in touch. It’s always good and encouraging to hear from readers who are enjoying the books. It’s also good to know that those Bookbub promotions pay off sometimes. I genuinely appreciate your remarks on the R&M Files and your forgiving nature regarding my ‘artistic licence’ where police matters are concerned – I know I have my faults in that department – even more so because of your long service in the police. Thank you. I sincerely hope that A White-Knuckle Christmas does not disappoint. As you may have seen from my blog, after quite a break I am currently working on another R&M and there will certainly be more B&C. Just don’t ask me when.